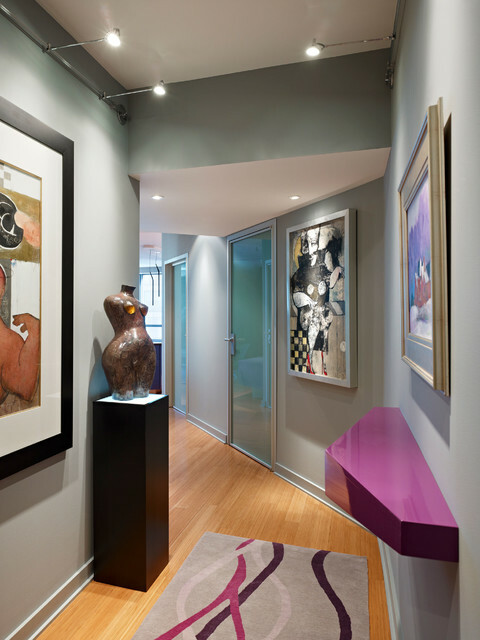 The entrance hallway serves as an art gallery. The colors of the furnishings were carefully coordinated with the artwork. The custom made purple shelf reflects the shape of the hallway.